Asbestos was commonly used in tiles, drywall, insulation and other building materials. Improper removal of these materials can release asbestos fibers into the air of your building, posing a possible health risk to you and other inhabitants. According to Health Canada, prolonged exposure to asbestos can even cause lung cancer. Urban Environmental has trained professionals skilled in asbestos removal and asbestos abatement. We are experts in removal and repair of asbestos-containing materials. Our professionals seal off the working area and on completion enable the site to be returned to normal. Mold can be a health concern where water damage was present, especially if dampness has been undiscovered or unaddressed for long periods of time. Care must be taken in removing moldy materials during demolition, as removal is likely to stir up mold, causing spores to become airborne. According to Health Canada, mold found in the air around you can cause health issues to develop including colds and allergies. 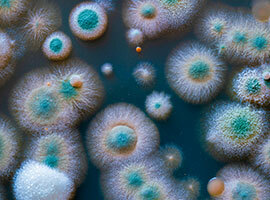 Urban Environmental professionals are trained in the safe mold removal and mold remediation. We identify the mold, isolate the area and eliminate it, then clean-up and safely dispose of infested materials. 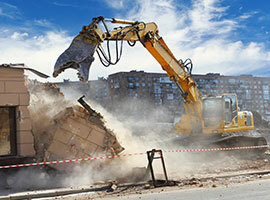 Building demolition and house demolition projects can pose serious risks for construction workers due to harmful asbestos fibers that can hover in the air. These hazardous fibers are commonly found in concrete, fiberglass insulation and tiles. Extended exposure to asbestos fibers in the air can lead to Mesothelioma disease and lung cancer. Urban Environmental has certified professionals who are trained to help you to dispose materials during demolition projects.